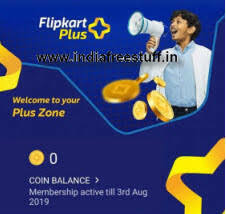 Flipkart is the most popular online site.Delivering all kinds of essentials to the users.Now flipkart added the new features like recharge and grocery and travel flights etc.Shop on Flipkart and get the best offers on top Branded Mobiles, Electronics, Fashion & Lifestyle, Home & Furniture products, Books & more.Online Shopping for Women Clothing – Shop Women’s Clothing online at low prices in India. Choose from the wide range of fashion clothes, ethnic, formal and more.Mobile phone usage is on the rise and smartphone lovers are on a constant hunt to buy the best smartphone at a reasonable price.4G mobile phones have taken over the smartphone industry in a big way in the last few years. Flipkart SmartBuy store Take a look at Flipkart SmartBuy products, which include micro USB chargers and cables that are designed to last and offer up to 2x faster charging, here. Flipkart SmartBuy products promise best-in-class features, assured quality and prices you’ll love.All the latest fashion trends, both for men and women, are up for grabs here on Flipkart at the best prices online. Stay on top in the fashion game by donning the trendiest fashion clothes and accessories from the best brands including Vero Moda, Biba, UCB, Puma, Nike, Catwalk and more. First download the new version of the flipkart plus application. And login or register with required details. And next go to the the DASHBOARD you will see the recharges option. And next click on recharges and next click on recharge now and it will directly redirect to the phonepeapplication. 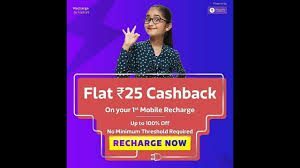 USER MUST HAVE THE PHONEPE APPLICATION TO GET THE RS.25 RUPEES CASHBACK WITH SAME NUMBER REGISTERED WITH THE PHONEPE AND FLIPKART. And enter the mobile number and select minimum recharge amount is Rs.30 to get the Rs.25 cashback. And you get Rs.25 cashback in your phonepe wallet.